This year will be the most exciting ever for members of the Blue Devil organization as they celebrate 50 years of excellence. Established in 1957 as a drum and bell corps, the organization has grown into a world renown performing arts organization with an unprecedented 11 Drum Corps International World Championship titles. The staff is already hard at work to produce the most memorable and entertaining production in the corps' history. 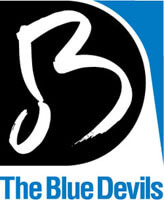 View a tentative list of 50th anniversary events scheduled on www.bluedevils.org.